Amazon takes pride in its superb customer service, and it's true that they do a great job. I'm happy to vouch for this. I've been a faithful customer and buy practically all my books from Amazon these days. While Amazon does a stellar job at ensuring direct customer delight, there are many additional ways of doing so by helping their sellers to do a better job at servicing customers via its marketplace. Right now initiatives such as Amazon Tatkal which helps sellers create catalogues through a mobile studio is great. However, there's a lot more they could be doing to make the small shopkeeper - the Indian Baniya and the Patel store owner - more successful. A key approach is to understand all the pain points of the small shopkeeper and develop technology to help them resolve these. The small seller would love to deploy technology to become more efficient, but cannot afford to do so - and this is where Amazon can step in ! Help the Shopkeeper build a brand for themselves. Ultimately, the more the shopkeepers who go online, the better it will be for the end customer. While some of these transactions will occur through the Amazon marketplace, others will take place on other platforms as well - for example, the shopkeeper's own website. 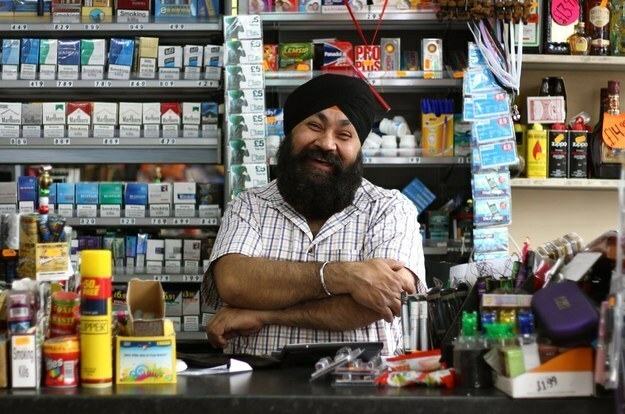 If Amazon starts providing shopkeepers tools to help them grow, everyone in the ecosystem will benefit! The shopkeeper will get more customers; the customer will be happier because he has a personal relationship with the local shopkeeper; and as the overall volume of business transacted online grows, Amazon's share will grow as well. Technology can allow us to marry the convenience of online shopping with the logistic efficiency of the real world shopkeeper. High tech with high touch can create customer delight for the shopper. Shopkeepers need to move with the times, and they will include their website address on their stationary, to encourage their customers to come back. After all, they also need technology to compete with the big boys, but don't know how to deploy this in a cost effective fashion. Lots of younger shopkeepers will come up with clever new ways of reaching out to consumers online, so that the boundaries between online and offline will start to disappear for the shopper. These clever home-grown innovations can be shared with other shopkeepers, thus allowing them to scale up organically. Right now, shopkeepers may think of Amazon as being a threat to them. However, one they find that they order volume improves because they can leverage the online marketplace, they will be happy to cooperate with Amazon, thus creating a win -win for all the players in the ecosystem. Amazon could not only help shop keepers to create their own apps, they can provide them with digital tools to catalog and track their inventory and integrate it with a POS system. They could possibly partner with solutions like Primaseller to help them in this endeavor. Amazon India could appoint a Seller Delight Officer, whose job it is to help small retailers to thrive. His job will be to understand what the retailer's pain points are, and provide solutions for them - all the way from, "How do I manage to create an accurate inventory of all my products? How do I digitize it? How can I get accounting integrated with my inventory? How do I tie this in with logistics? How do I train my assistants in customer service?". All this is stuff which Amazon has a great understanding of, because they do it themselves all the time - after all, they are the world's largest retailer. How can they develop tools to help the small shopkeeper become as efficient and effective as Amazon, so that each can play to their individual strengths, and jointly create shopper delight is a question they have to smartly answer in order to win this competitive game. Why did I get such poor quality blastocysts ? How optimistic should an IVF specialist be? What does a 20% IVF Success Rate Mean?